Description: Book is a little bumped at fore edge corners as well as head of spine. Tight stress crease/tear near head of spine. Age toning to spine and upper edge of wraps. Pages are clean. Binding is tight. 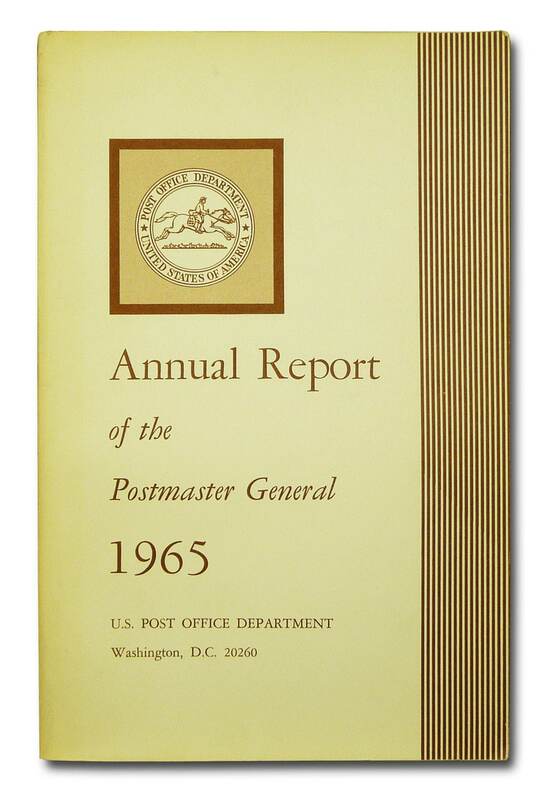 "The Postmaster General reports on the services of the United States Post Office Department during Fiscal Year 1965. July 1, 1964 to June 30, 1965."